Lazies, Our new Yo Yo Cutie Pins are versatile little sweet hearts. This week, I have some tips and possibilities to share. 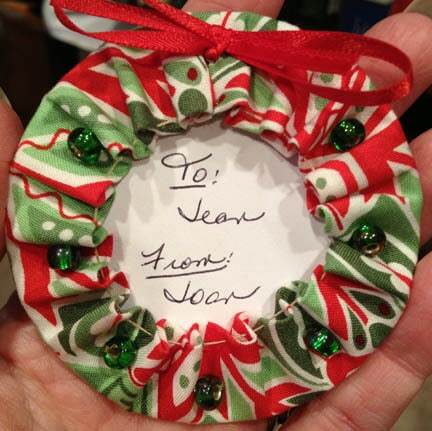 Perfect for a holiday lapel pin, a simple bow turns a Cutie into a mini wreath. After you are finished making the yo-yo and pull the threaded needle to the back, pull the needle to the front again where you want to add a ribbon. Take a stitch through the center of the ribbon, then tie it in a bow. Take another stitch or two through the knotted bow to secure. Pull the needle to the back and finish off. 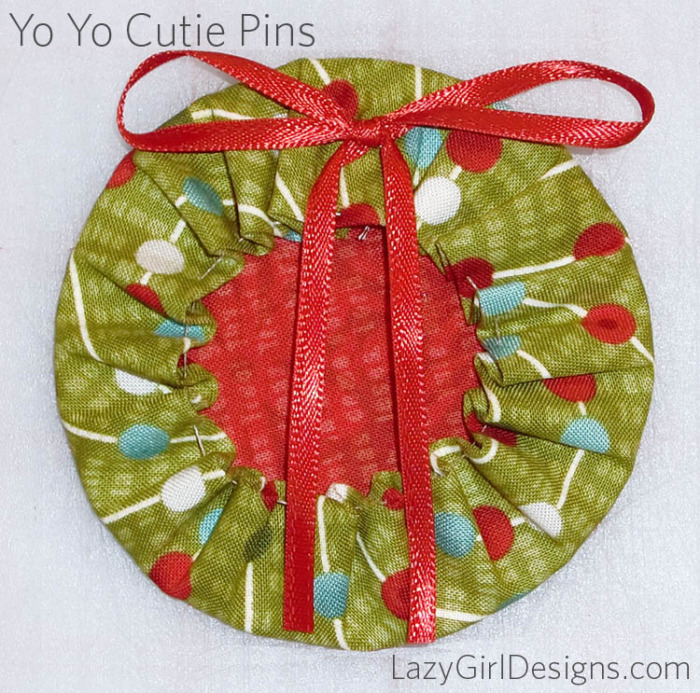 Claim your FREE Yo Yo Cutie Pins pattern in last week’s post here. Here are just a few of the Cuties I’ve made lately. You can do so much with either of the sizes. And if I didn’t mention it last week, these are hand sewing projects. No sewing machine needed. So they are portable and great for on the go. Perfect for something to relax with when you kick your feet up at the end of the day. The Yo Yo Cutie Pins really is a scrounge-able project. 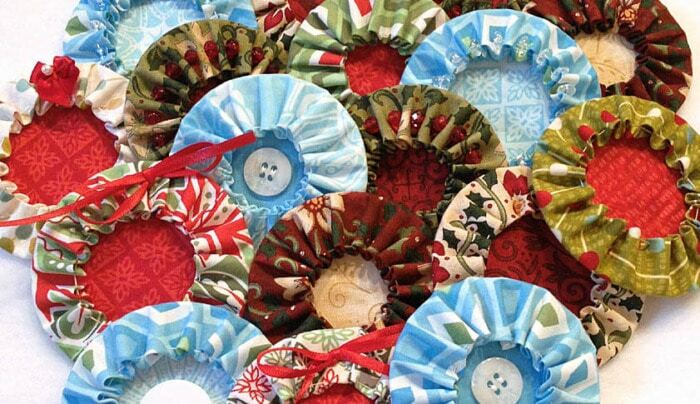 You can make good use of sizable scraps and little snippets of all sorts of things. Dig through your little leftover bits of beauty and fun and add them to the pins. I love adding beads between the fabric gathers. To do so, make and finish the yo-yo. Then go back and feed a needle through each fabric fold, adding a bead between the fabric folds. In this first example, I added the beads right at the gathered center of the yo-yo. It’s nice and tidy and the placement is midway between the edge and the middle, adding balance to the whole piece. In the examples below, I added the beads in the middle of the green fabric, halfway between the outside edge and the gathered center. I love this placement. The beads are just wide enough to fill in the space between fabric folds and tidy-up the folds, making them uniform from center to the edge. 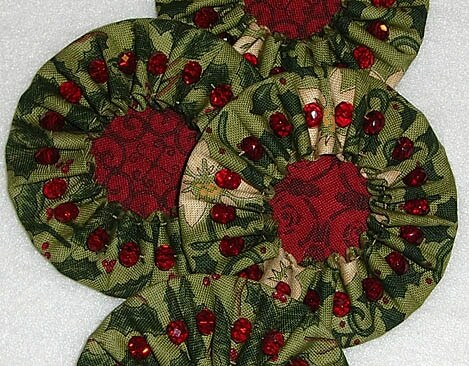 Done up in Christmas fabrics and red beads, these look like wreaths with ornaments. 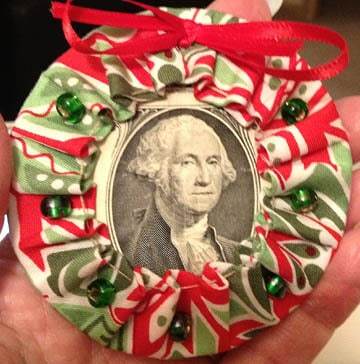 The center of a Cutie is perfect for framing a cash gift. Simply fold the edges of a dollar bill to fit inside the yo-yo, then tuck the edges of the bill under the yo-yo. When the cash is removed, exposing the fabric center below, the recipient can enjoy the second gift of a finished yo-yo. Tracy at Sew Thankful suggested making a gift tag and slip it into the Cutie. 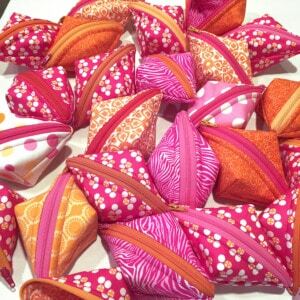 The recipient can re-use the Cutie by putting a fresh piece of paper in the center or enjoy the Cutie for themselves. Imagine how cute this would be framing a precious photo for a keepsake ornament! Above, a few beads are sewn between every other fabric fold, giving the appearance of nicely spaced ornaments. Yo-yos are gathered with a simple running stitch. You can use the same needle and thread to add embellishments. Or, you can come back later with a new needle and thread and go to town adding embellishments. You don’t have to decide on the center fabric in order to get started. 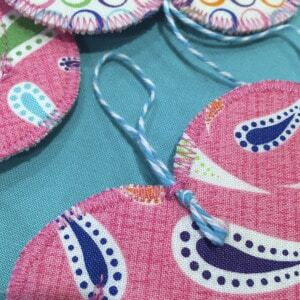 Simply do the running stitch through the yo-yo fabric, cut the needle off and set the yo-yo aside. When you are ready to finish, re-thread the needle with both loose thread ends and you are all set. 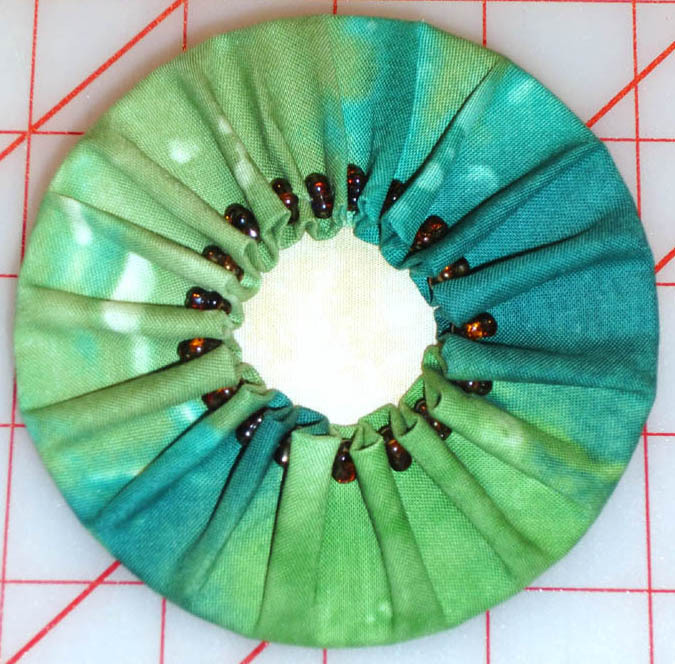 You don’t have to cut a perfect circle for the center fabric. As long as the scrap is big enough to cover the opening, woohoo – use it! 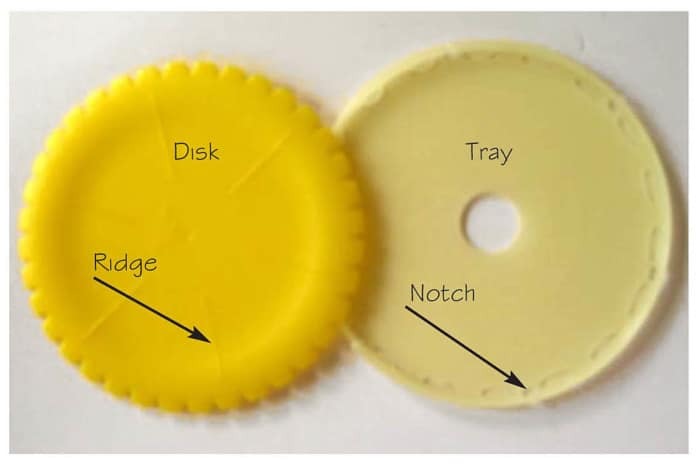 Secure the center fabric by stitching (hand or machine), glue stick, double-sided tape, or let that baby rest in there unsecured if making the yo-yos with smaller openings. As long as the fabric won’t bunch or come out, secure it how you like. Quick Yo-Yo Makers from Clover Needlecraft Inc. This is an affiliate link to Amazon.com and I will make a small commission if you buy through this link. 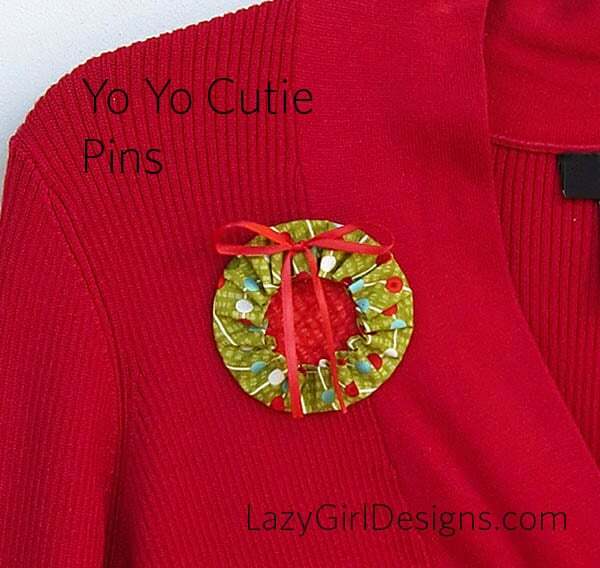 « Previous PostFree Pattern: Yo Yo Cutie Pins are Pin-tastic! What a sweet idea for Christmas! I think I will make these for the gals at work for the holidays. THANKS!!! like all of the purses you have.